Pioneers in the industry, we offer oil coolers, oil cooler for hydraulic power pack, industrial oil coolers, hydraulic oil coolers, oil heat exchanger and oil cooler for special purpose machines from India. We are engaged in offering Oil Coolers to our clients. Our offered coolers are manufactured from optimum quality materials like SS, copper, admiralty brass & CS and advanced technology in adherence to the highest industry standards. It is reliable in terms of quality and preference. Clients can avail this entire range from us in different specifications and are used in engineering and allied industries. We are engaged in offering Oil Cooler for Hydraulic Power Pack to our clients. Our offered coolers are manufactured from optimum quality materials like SS, copper, admiralty brass & CS and advanced technology in adherence to the highest industry standards. It is reliable in terms of quality and preference. Clients can avail this entire range from us in different specifications and are used in engineering and allied industries. We are engaged in offering Industrial Oil Coolers to our clients. Our offered coolers are manufactured from optimum quality materials like SS, copper, admiralty brass & CS and advanced technology in adherence to the highest industry standards. It is reliable in terms of quality and preference. Clients can avail this entire range from us in different specifications and are used in engineering and allied industries. We are engaged in offering Hydraulic Oil Coolers to our clients. Our offered coolers are manufactured from optimum quality materials like SS, copper, admiralty brass & CS and advanced technology in adherence to the highest industry standards. It is reliable in terms of quality and preference. Clients can avail this entire range from us in different specifications and are used in engineering and allied industries. 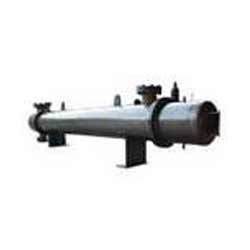 We are engaged in offering Oil Heat Exchanger to our clients. Our offered coolers are manufactured from optimum quality materials like SS, copper, admiralty brass & CS and advanced technology in adherence to the highest industry standards. It is reliable in terms of quality and preference. Clients can avail this entire range from us in different specifications and are used in engineering and allied industries. We are engaged in offering Oil Cooler for Special Purpose Machines to our clients. Our offered coolers are manufactured from optimum quality materials like SS, copper, admiralty brass & CS and advanced technology in adherence to the highest industry standards. It is reliable in terms of quality and preference. Clients can avail this entire range from us in different specifications and are used in engineering and allied industries. We are engaged in offering Oil Cooler for Injection Molding Machine to our clients. Our offered coolers are manufactured from optimum quality materials like SS, copper, admiralty brass & CS and advanced technology in adherence to the highest industry standards. It is reliable in terms of quality and preference. Clients can avail this entire range from us in different specifications and are used in engineering and allied industries.